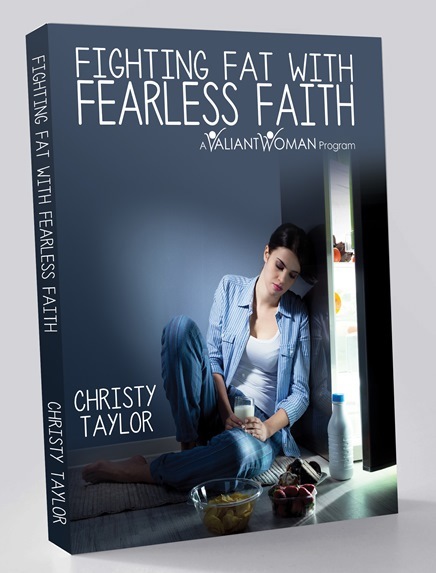 PEORIA, Ill. - Jan. 16, 2017 - PRLog -- Christy Taylor, founder of Valiant Woman, announces the opportunity to receive a free chapter to her new Christian weight loss program Fighting Fat with Fearless Faith. The book is expected to be released in late January. The free chapter is available now. This chapter will reveal Christy's own weight loss journey. She will share what she discovered that finally helped her lose the weight and keep it off for over five years. This chapter is just the beginning of a detailed process for a permanent and complete transformation inside and out based on faith, commitment, and perseverance. Christy provides the layout of the program, which includes ten combat maneuvers. These combat maneuvers contain a variety of steps to be completed to strengthen the foundation of faith, accountability, self-control, and resilience. It takes effort; however, once the steps have been truly followed, women can expect a closer relationship with God resulting in a change in perspective of the body, viewing the body as a temple for God. Once this has been accomplished, taking care of the body will naturally melt the pounds away. It is Christy's goal to help people gain God and lose the weight. Christy states, "If you follow this program with perseverance, vision, and discipline, you will become full of God's fruit and feel a sense of purpose again. The numbness you feel will be replaced by love, joy, peace, patience, kindness, goodness, faithfulness, gentleness, and self-control. You will feel alive again and happier than you have felt in a long time. Even though you will be spiritually full, you will feel weightless!" Christy Taylor is the President of Valiant Woman. She is also a health and wellness coach that hopes to empower Christian women. She understands the ups and downs of weight loss because she has truly lived them. Christy finally found the missing piece, which is letting go of the control she had on her life and trusting in God to lead her to a happy, healthy life. 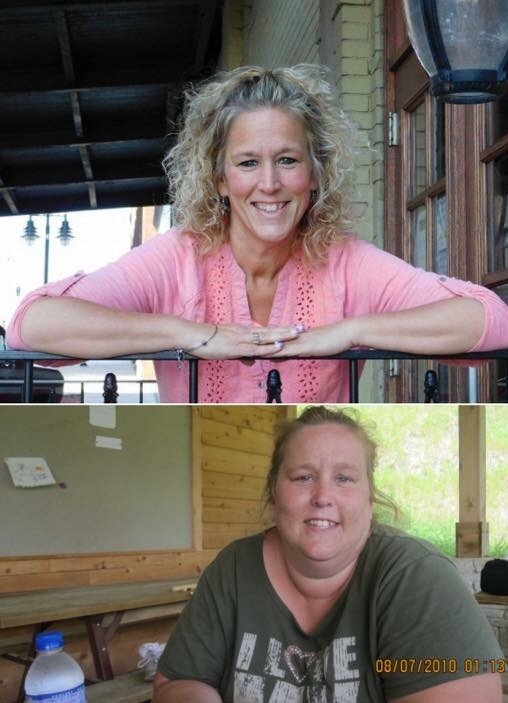 Her strong faith in God has helped her to lose 137 pounds that she has maintained for over five years. 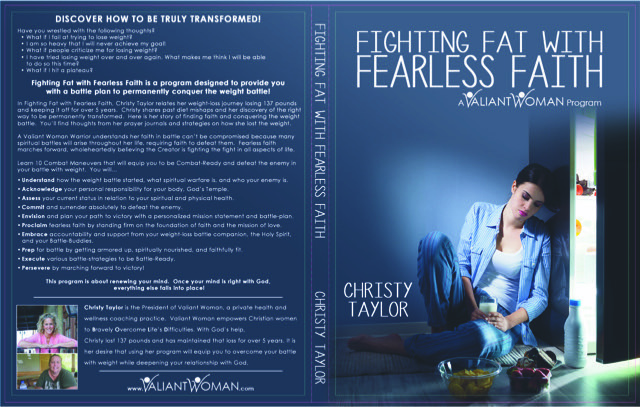 Don't forget to get the free sneak peek today of Fighting Fat with Fearless Faith.